A conference organized jointly by the Institute for Advanced Studies at CEU and the Botstiber Institute for Austrian-American Studies. The conference is open to all but please register by completing this form until Monday, March 5, 2018. Migration to and from Central Europe has a long history and has fundamentally shaped the cultural, political, and social developments of the Habsburg Monarchy and its successor states. 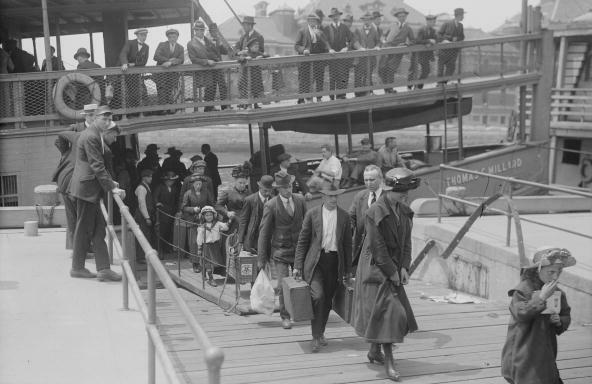 This conference will showcase new research in migration studies and reflect on the role that migration, both within Central Europe and to the United States and beyond, has historically had on the region. It brings together scholars working on topics within migration studies such as affinity and identity of migrants, the influence of capitalism on migrants’ economic conditions and emergence of the migration industry (travel lines, migrant banking etc. ), conflict, exclusion and contestation as important aspects of politics of migration. Conference participants will zoom in on these and other themes while sharing their conceptual and empirical insights on identities, networks, dynamics and biographies of mobility that shape patterns of Central European and Transatlantic migration. Dr. Friederike Kind-Kovacs (University of Regensburg/Imre Kertesz Kolleg in Jena) - "You cannot get to see them’: Refugees and Humanitarians in Budapest after the Great War"
Dr. Börries Kuzmany (Austrian Academy of Sciences) - “Changes and Continuities in Austria’s Coping with Refugee Crises over Three Centuries"